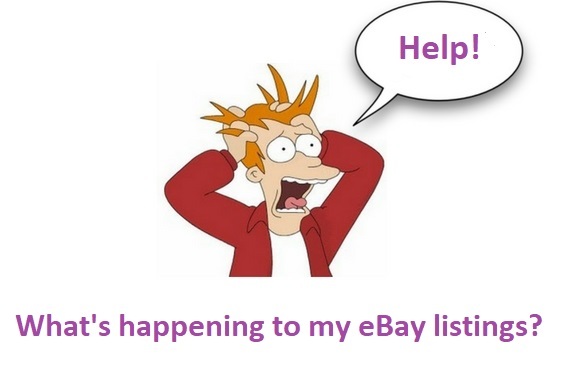 A very large number of eBay sellers are seeing only a two line description on their listings and then a button that says ‘See Full Item Description’. The rest of their description including text and images have vanished. If you click on the ‘See Full Item Description’ button, then the complete description shows up on a separate page. 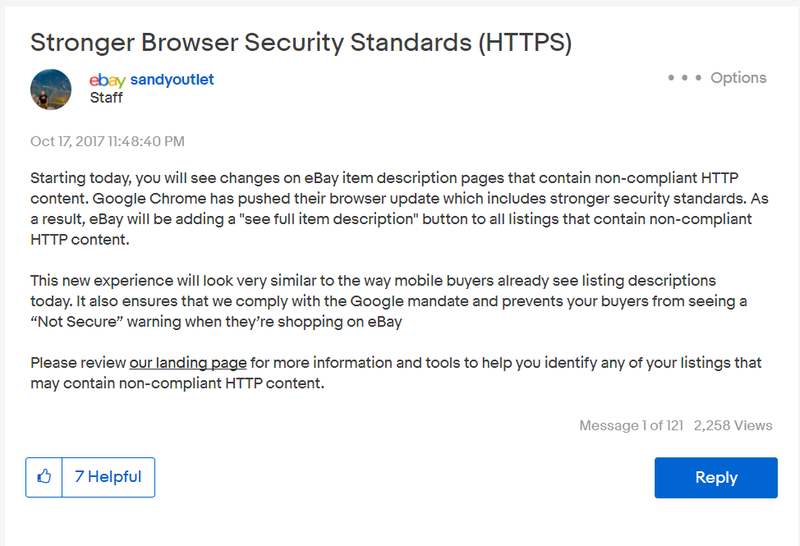 If you have images in your description or table or anything that is trying to pull in data from another website, for example, your own website, and if that link is not https, then as ebay explains, this problem arises because of the Google implementation. The fix is easy but time consuming. Replace the http with https and save the listing again, and now your listing will show the full item description. However; if you don’t have the time or have a large number of listings, then you need to hire companies like us (InterloperInc.com) to go through your listings and fix them. If you have thousands of listings, then we may write a script to go through all your website and fix the URLs on your website and also on your listings.